ES Performance Figures Figure Skating Jacket. 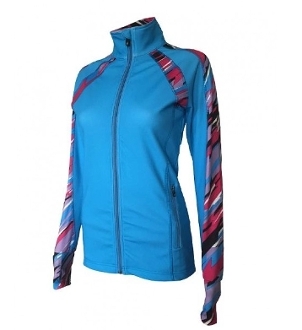 This jacket can be used in any athletic or outdoor activity. Available several colors in Child S - Adult S. Click on images to see sizing chart. Quick dry, lightweight brushed fabric made for cold conditions. Thumb holes on the cuffs. Reversed front zipper and zippered hand pockets. Reflective ES logo on the back.